There are other more esoteric moves out there, but the below should cover the main things. 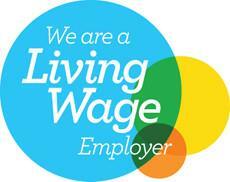 We'll add more over time as we think of them! If you hear people talking about moves that make no sense to you at the centre, come and ask one of the staff and we'll try and translate. 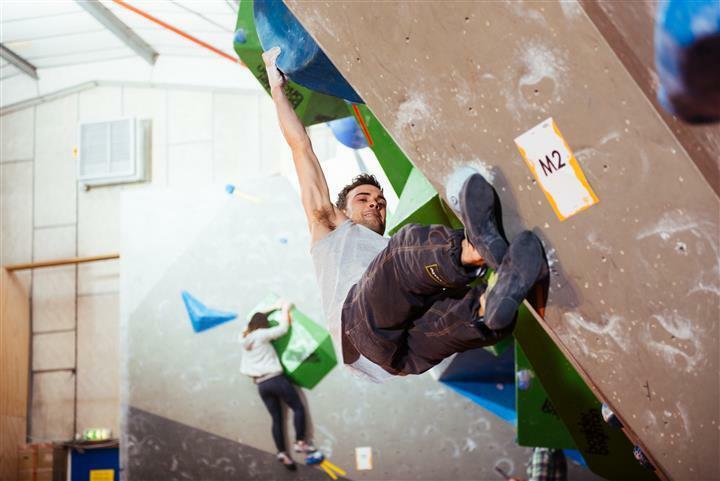 We also run regular "Better Bouldering" technique classes and private coaching sessions, which are a great way to get some coaching on these and other techniques - see our courses page for details. Crimping is about pulling on small edges. There are different ways to hold small holds like these, from open-handing to half-crimping (knuckles at about 90 degrees), to full-crimping (where your thumb gets involved and wraps over the tips of your fingers). Full crimping is very hard on your tendons and should be done only when necessary and after a good warm-up! Experiment with some different hand positions and try to practice the more open handed ones (which often feel weaker, initially) - if you can get strong open-handing small edges, it will yield benefits in the long run. Matching is simply using both hands or feet on the same hold. Sometimes this is necessary to be able to unlock the best sequence on a climb. 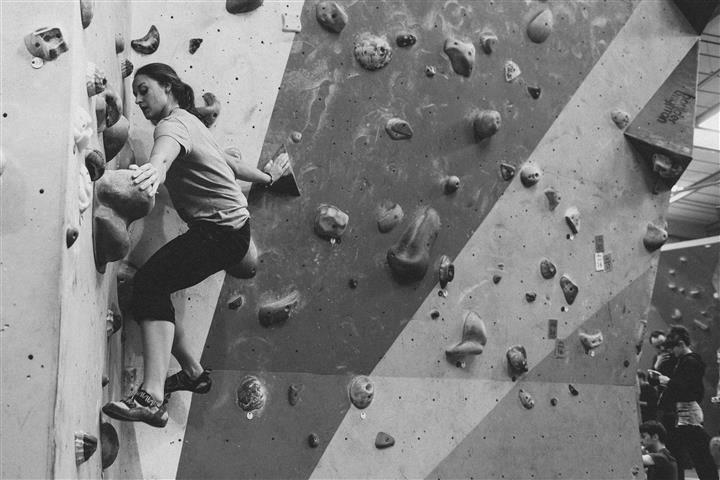 "Matched starts" are where both hands are used on the same starting hold to begin a climb. 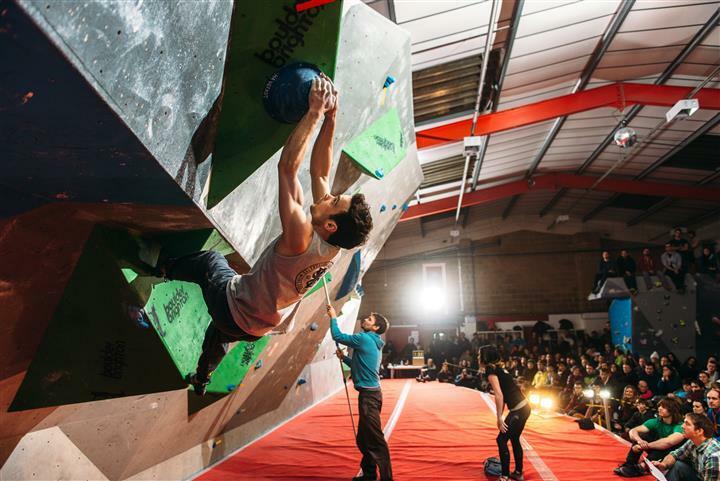 At Boulder Brighton, this is where one hold has both start tags pinned to it. 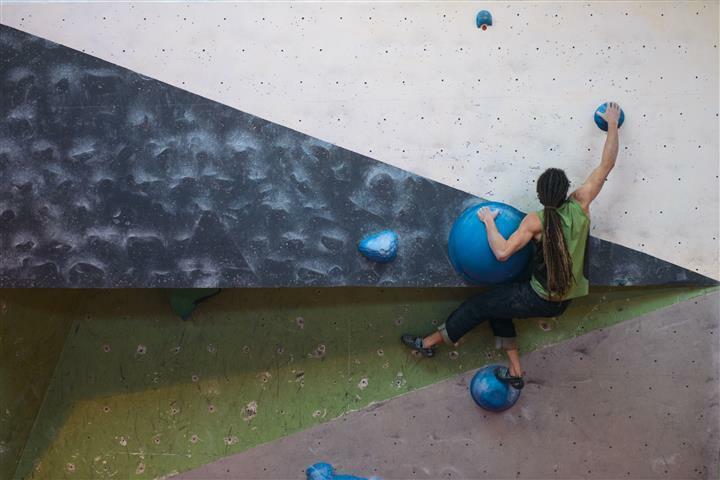 Layback climbs involve using holds sideways and "laying back" away from them. From below these holds would be poor, but from the side you can often get into a very stable position. Arête climbs often involve laybacking, as you bump your hands up the vertical edge to make progress (see pic). 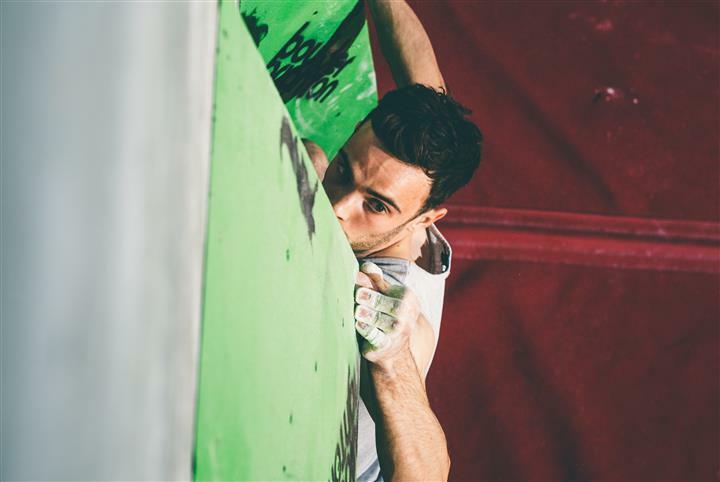 Getting your body position wrong on a layback climb can lead to the infamous "barn door" effect which sees you swing slowly but inevitably towards the edge before dropping off. It's a great technique to practice. Undercut holds look like they're upside-down from the ground. From below, they're often hard to grab onto, but once you gain some height you can tuck in more effectively and they become solid. 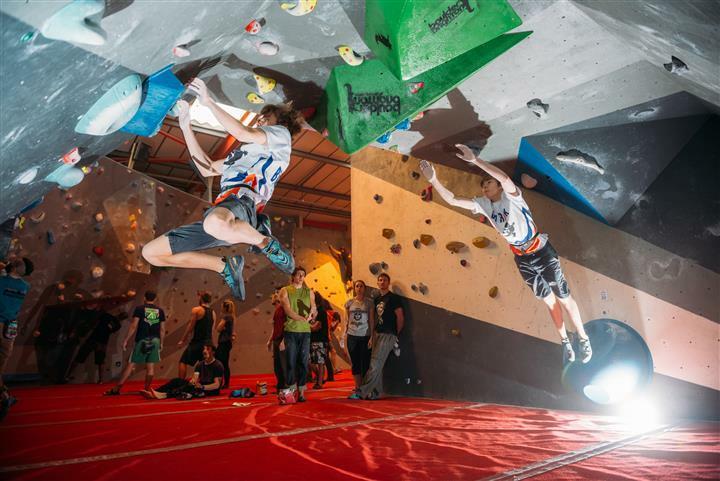 Top tip: move confidently into an undercut move - if you hang about below it for too long, you may never reach the more solid position higher up. Sometimes undercut moves are not that obvious, but turning your hand and using the hold in the opposite direction can make a big difference to your reach on the next move. Thinking about sequence is really important. 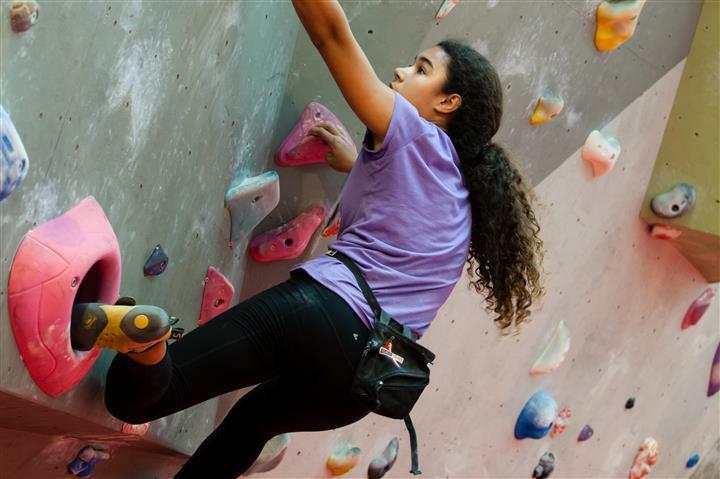 If you always move up with your hands in order without thinking - left, right, left, right, left - you'll end up tangled up and using holds in unhelpful ways. Sometimes though, crossing your arms or feet through deliberately rather than always keeping them separate (see pic) can mean that your limbs don't become tangled on the next, more difficult move above. Unlocking a really nice sequence feels amazing - all of a sudden you can feel the flow of the moves come together and almost will you to the top. A rockover move involves bringing a foot up high (sometimes higher than you'd think possible!) and then rocking your weight over onto the high foot in order to make progress. If you can successfully bring your weight over the high foot, you'll move into balance and free up your other hands and foot to move on. It's often helpful to concentrate on moving sideways before moving upwards when you're on a rockover move - only move upwards when your foot is doing its job properly. 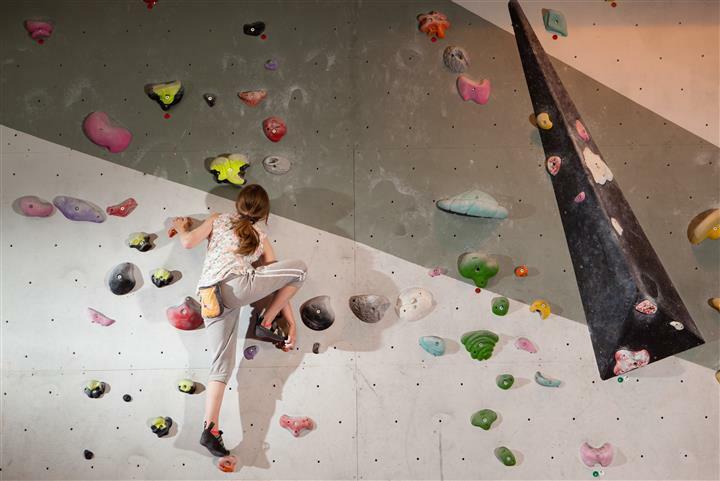 A campus move is one where your feet are not on the wall, and you let them dangle below you. Generally keeping your feet in contact with the wall will make things easier, but sometimes you need to cut your feet loose and campus your way to glory. Campus rungs are training aids designed to strengthen fingers through hands-only movements. Flagging is an essential climbing technique, particularly when moving on steep ground. It involves smearing out wide with one foot, which sticks out from your body like a flag in the wind. The flagged foot can counteract rotational forces that would otherwise swing you off the wall - leaving you nicely in balance to reach up in the opposite direction and move upwards. Getting your body position right can be counter-intuitive at first, but once you've cracked it you'll be flagging all over the place. Whenever you find yourself climbing in a corner, bridging becomes an option to consider. It simply involves bracing between the walls in the corner using either your hands or your feet, or both. This often leads to some really stable positions, even when bridging using only smears (i.e. just the wall surface itself). Next time you get stuck in a corner climb, see if you can bridge your way out of the situation. 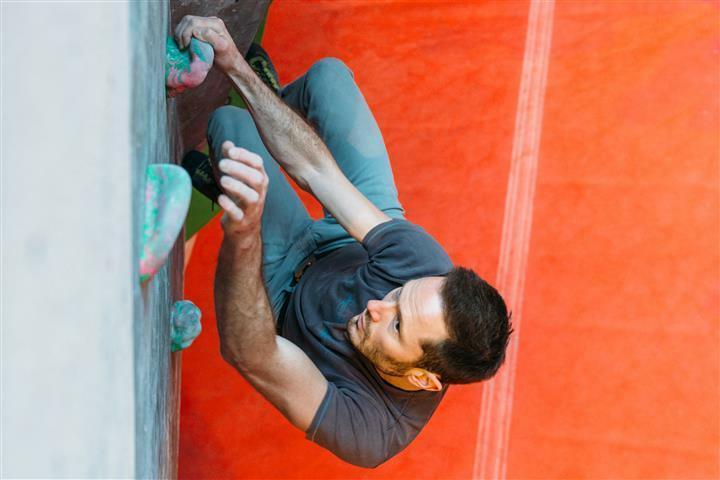 Press moves involve pushing down on holds with your hands rather than pulling up on them. Commonly, a hold will turn into a press only once you have managed to move above it, requiring you to change your hand position on the hold. Most commonly found on corner climbs and slabs. 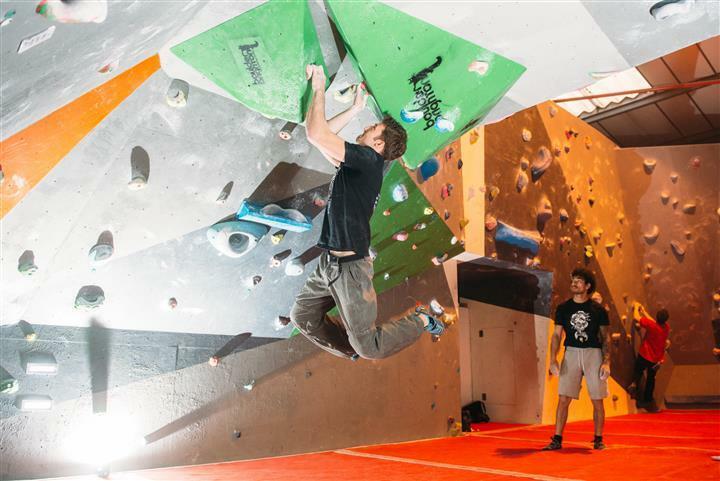 Mantleshelf moves are the climbing equivalent of getting out of a swimming pool without using the steps. They involve getting your weight up and over your hands on a shelf-type feature, then bringing your legs up to follow you. They are a common form of top out move and often tricky if you've not practiced them. Luckily, the Boulder Brighton Duck is built just for this purpose! 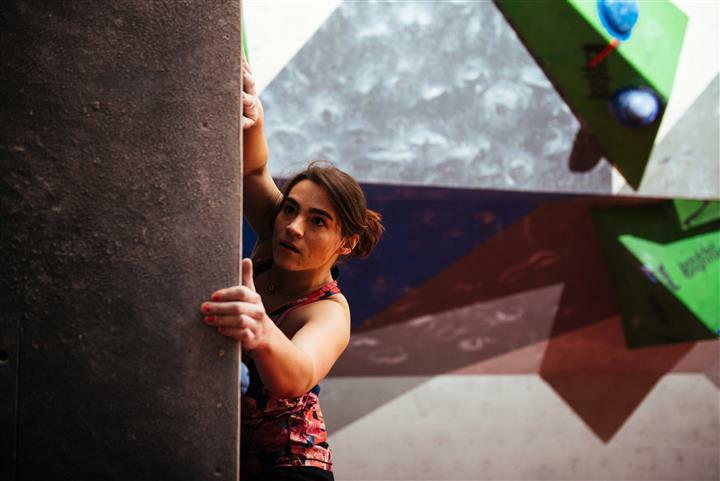 Try them until they become second nature - it'll make climbing outdoors a whole lot more fun. 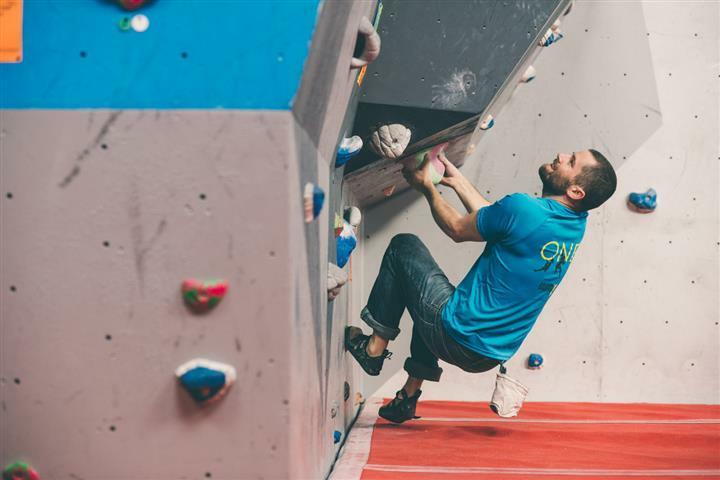 Dynos, or dynamic moves, involve using momentum to get from one hold to another, often when holds are too far apart to be able to be reached by simply stretching. They can be pretty spectacular moves, often avoided unless necessary due to the difficulty of keeping in control of the situation. However, used properly dynamic movement can actually be more efficient than moving slowly and statically in all situations, as body positions in the transition between holds can be very strong and energy-sapping. The drop-knee move - also known as an "Egyptian" - is a great way to move efficiently on steep ground. 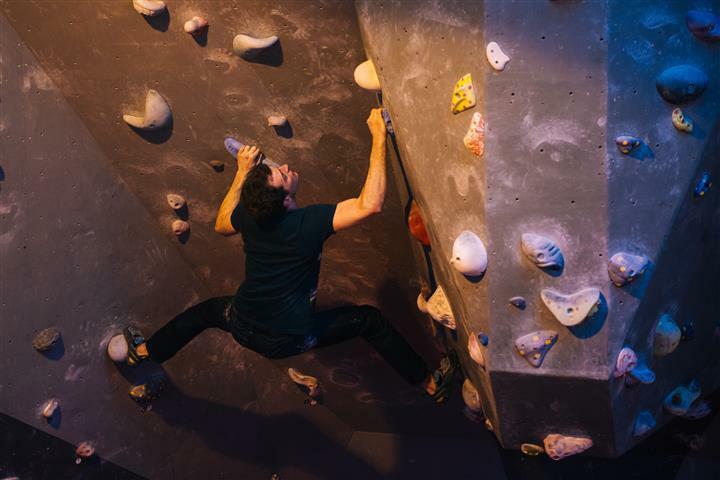 Keeping your body pointing to one side, dropping your inside knee lets you use a high foothold without being pushed away from the wall or over-compressing your limbs. 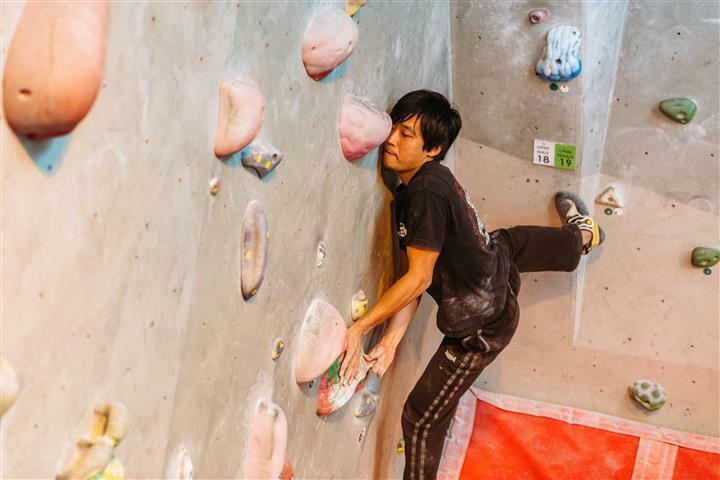 Can be a good alternative to flagging, as both feet are kept in strong positions on holds. If you throw a ball up in the air there's a split second at the top of its flight, where it has stopped moving upwards but hasn't quite started moving downwards yet, when the ball is stationary. This is the "dead point" of the motion. 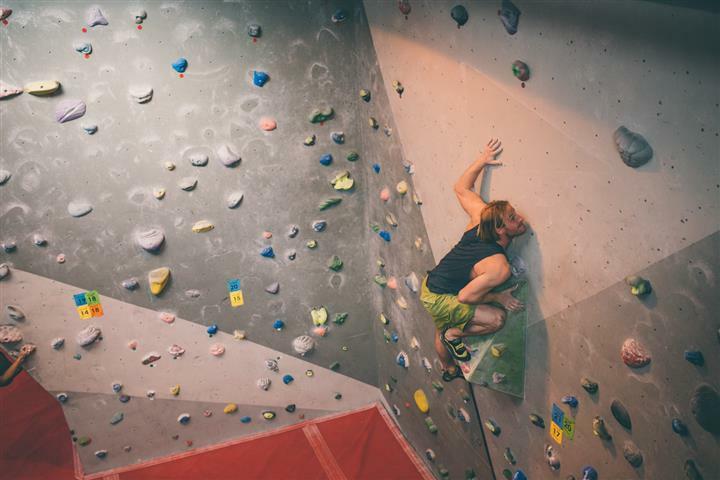 Applying this to climbing, the dead point is the point in a dynamic movement where the body is temporarily still. If you can "latch" the hold you're going for at this exact moment, it's as if you made the move statically, and everything is nice and easy. Overshoot or undershoot the hold, however, and things are much more tricky. Heel hooks use your feet to pull yourself into a hold or feature, as if you had a third arm. This can be very handy! Often used to counteract swings, or to take weight off the arms on steep climbs. 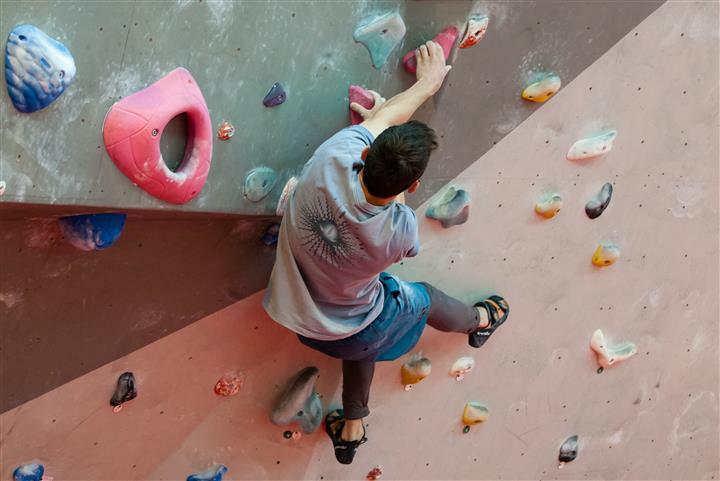 Toe hooks are similar to heel hooks but involve hooking the top of your climbing shoe over a hold or feature. Often harder to get used to than the heel hook, and less often used - but essential when they're needed. 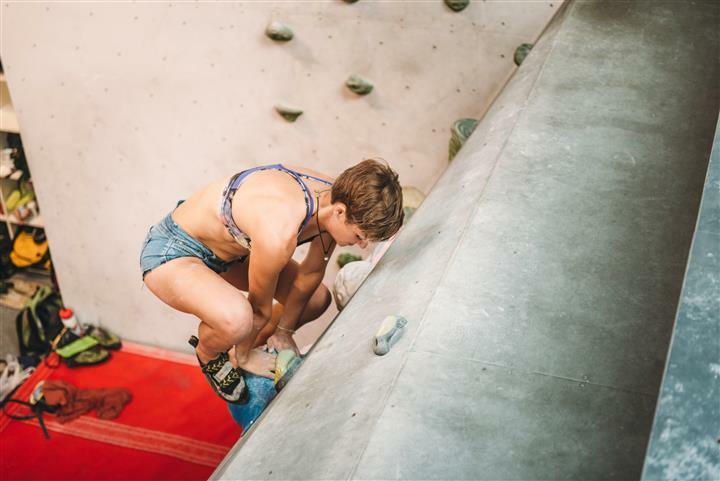 Some more technical climbing shoes have extra rubber across the front of the shoe to allow for more grip during these kinds of moves. 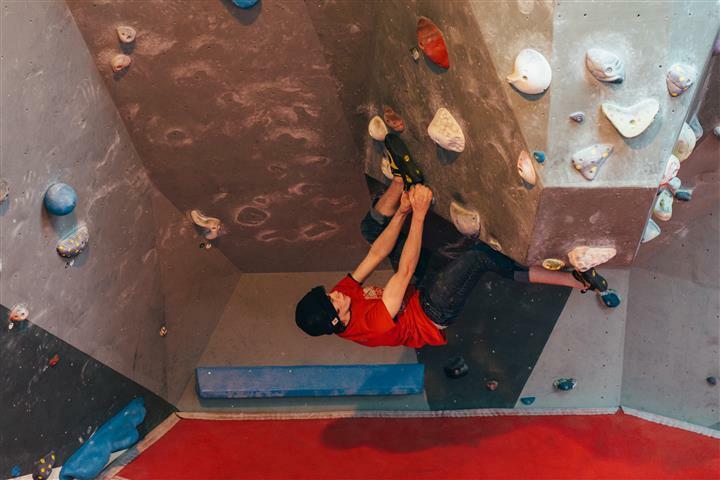 Foot to hand moves are sometimes necessary, where moving your feet up has to happen before you can reach the next holds up. A Gaston move involves gripping a hold with your thumb pointing down and your elbow pointing away from your body, to create tension in the opposite direction to a normal "pulling" move. It's the opposing tension created by this outwards pressure that gives you the stability to make progress. These moves are tough if you haven't tried them before, as they tend use a different set of muscles to "normal" moves. Named for French alpinist Gaston Rebuffat who pioneered the technique. End of part 2: awesome! Now you know the moves, get over to part 3 - the wall and features.